I was wasting time on Facebook (as one does) and I spotted the below images in a scale modelling group. 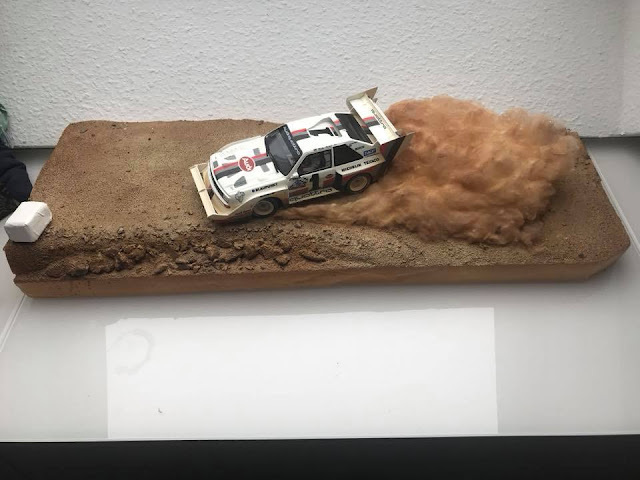 It is a diorama of an Audi Quattro rally car belting along a dirt road, kicking up clouds of dust. 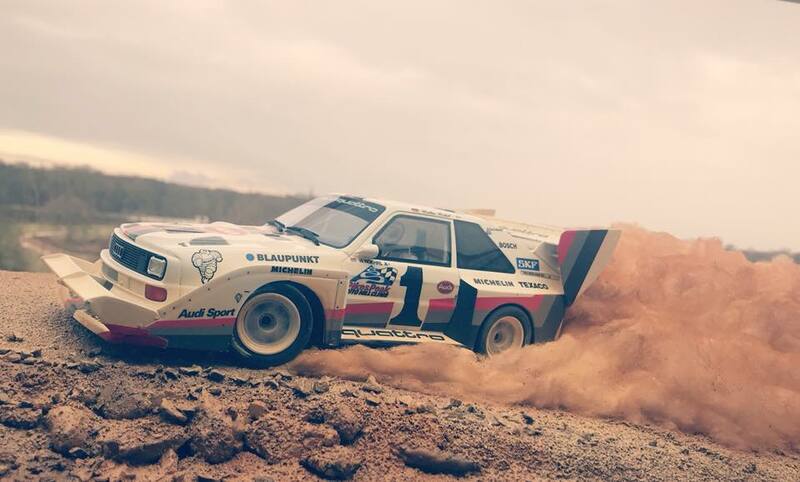 It's a great diorama, the dust is well done, the dirt road is realistic, and the car is well weathered. But what really caught my eye was the spinning wheels of the car - they are incredible! 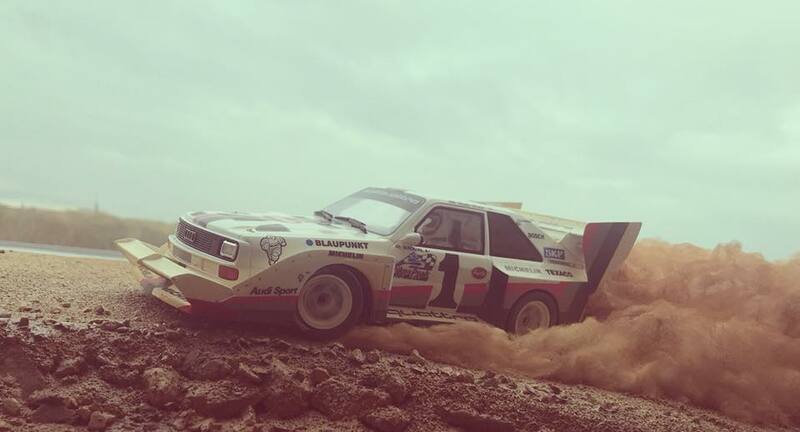 The diorama is by a European modeller named Matthiéu Noire, who specialises in automotive models. 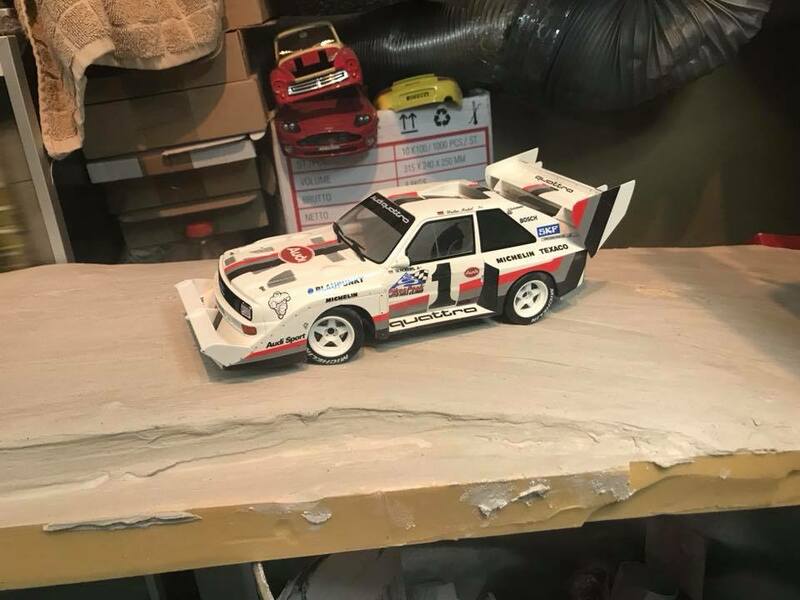 He has a Facebook page showcasing his models under the name Blackscale18 - https://www.facebook.com/blackscale18/ - if you're into car models, I recommend checking it out. 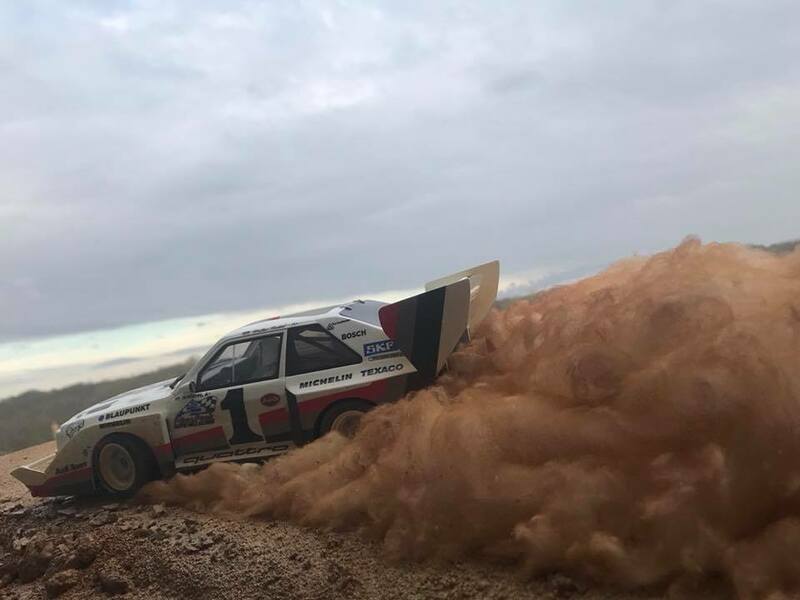 Matthiéu explained that the spinning wheel effect was achieved by taking an existing photo of the real car in action, zooming in on the spinning wheel hub, and then printing that onto a circle of card and gluing that on the hubs of the scale model. Nice work Matthiéu, and thank you for agreeing to let me share your brilliance on my blog. Thats really cool! You could do about anything with that technique. Like rocket flames, a tank fireing or a realistic fire.